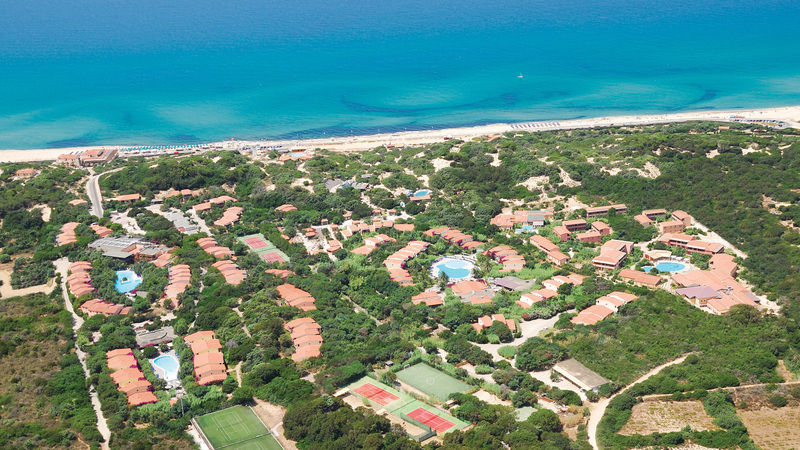 The Resort Le Dune in the North of Sardinia is directly on the sea, right on the white beach at Badesi. Perfect for family summer holidays with children. A resort with 5 splendid hotels in Sardegna overlooking the sea at Badesi Marina in the North of Sardinia. 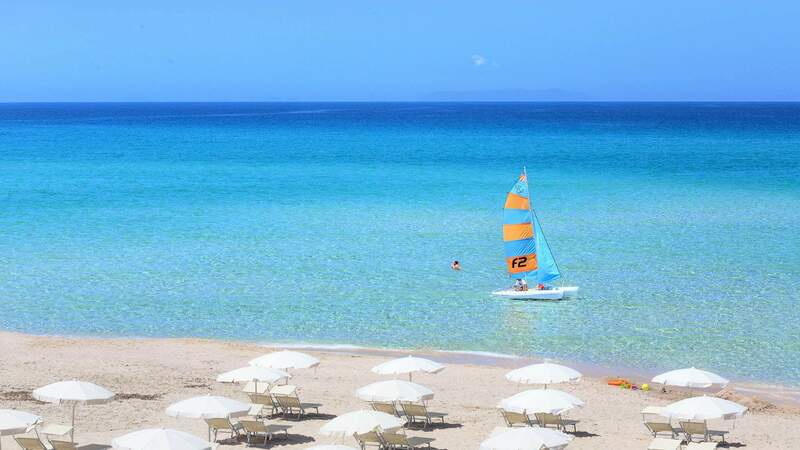 The beach in front of the Resort Le Dune is a stupendous stretch of white sand, Li Junchi (Blue Flag from 2016), that extends for 8 kms as far as the typical fishing village of Isola Rossa, perfect for long walks along a semi-deserted shoreline. 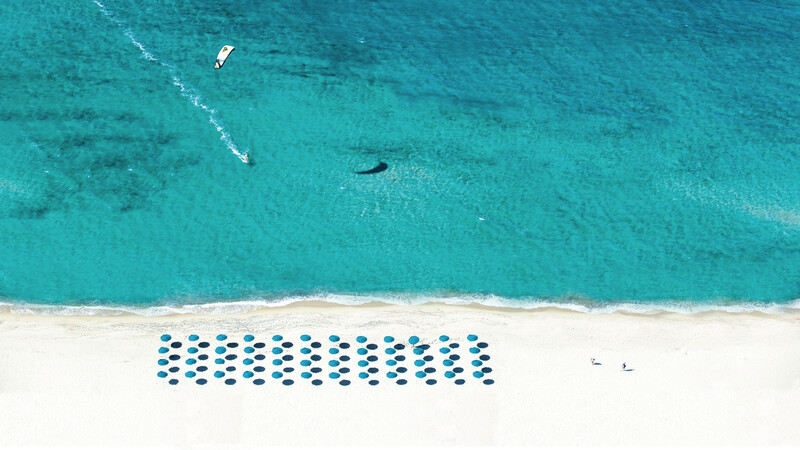 The beaches in the area are famous for sharing the white sand and crystalline sea for which Sardinia is famous. 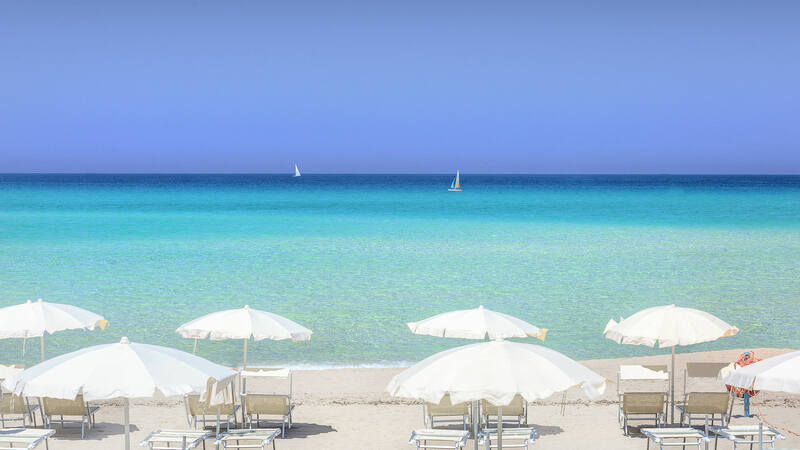 The Resort Le Dune has a large fully equipped area of beach reserved for its guests, with free sun loungers and parasols from the third row on (subject to availability). A few metres from the beach is the “La Duna Bianca” with a restaurant and bar with covered veranda, play area and nursery for children. A shuttle bus service departing from the resort’s central square to the beach (a distance of 100 metres) is available free every day from 8:30 to 23:00, to help guests take bags and children’s games to and from the beach. For those who prefer to spend a few hours relaxing by the pool, the Resort Le Dune has six big fresh-water swimming pools sheltered from the wind, four of which have sun loungers, bar and lifeguard assistance, plus two pools reserved especially for children.